MWC16 Xiaomi is heading West, and its new Mi 5 flagship brings Galaxy quality for £250 to Western markets this Spring. The Mi 5 shows a major investment in design - as the company told us at tedious length in Barcelona today. 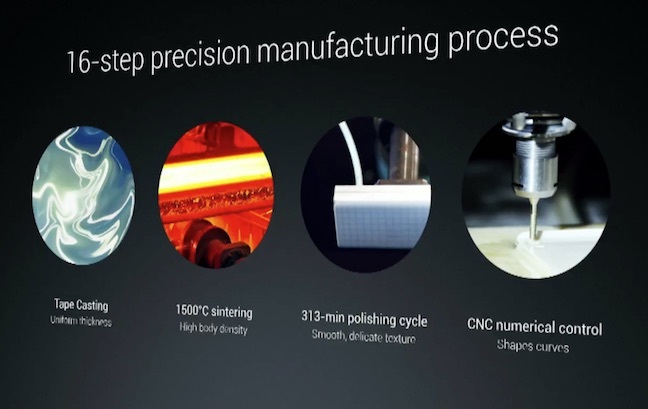 “Ceramic is up to 8H on the Mohs scale,” Xiaomi phone chief Hugo Barra told us, extolling the virtues of microcrystalline nano-ceramic zirconia. And there was more: on the wonders of tape casting, the phone’s 1500C sintering process, the 313-minute polishing cycle and even the CNC numerical controls needed to produce this. Why bother? It’s a way of saying Chinese phones aren’t cheap and nasty any more. OnePlus did the same thing last year. 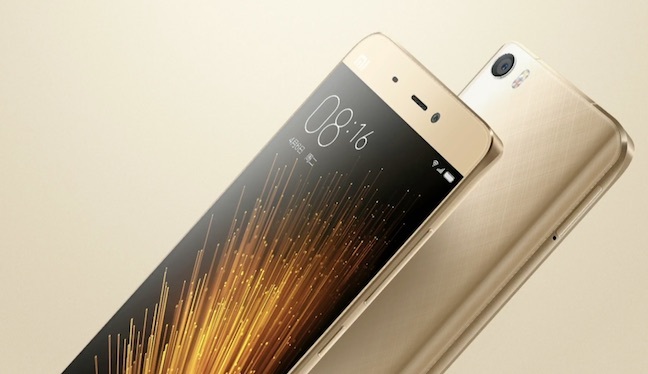 Last year Xiaomi sold 70 million phones, but the Mi 5 really wants to be your next Galaxy or iPhone. But there’s another reason for the eyes-glaze-over detail. For Barra, the former Google Mobile chief who joined the then-unknown Chinese company in 2013, the Mi 5 announced the arrival of his first child. It takes two years to make a phone. 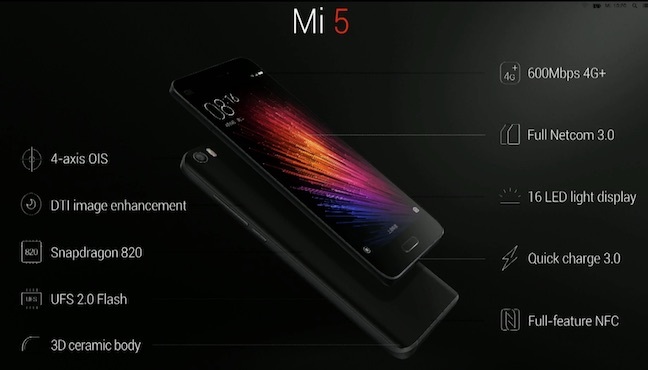 The Mi 5 itself is undoubtedly an attractive design, coming in sculpted ceramic or glass-backed models. With its oblong front fingerprint sensor making it very reminiscent of recent Galaxys. The Mi 5 is packing a 600 nit 5.15 inch diagonal display, but with much narrower bezels than the iPhone 6s or last year’s Samsung Galaxy S6. Yet weighing only 129g, it’s 14g lighter than a 6s but packs in a 3000mAh battery. Inside, there’s a Qualcomm Snapdragon 820, 4GB of RAM and 128GB of storage. 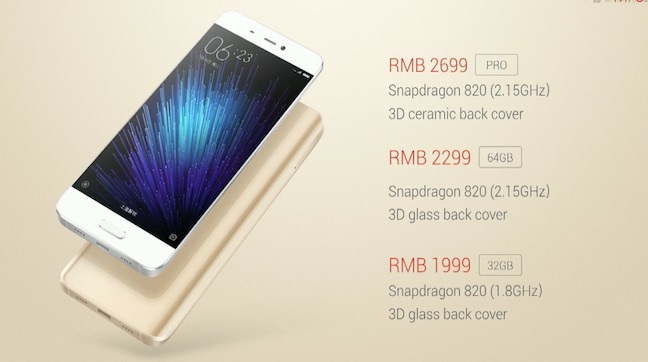 The renminbi prices translate to €324 for the ceramic version or €238 for the glass version. Less than half the price of the rival Galaxy S7. The 16MP camera leans on Qualcomm’s image processor, and uses a Sony IMX298 sensor, with 4-axis optical image stabilisation. The camera module doesn’t stick out and has a Sapphire glass cover.